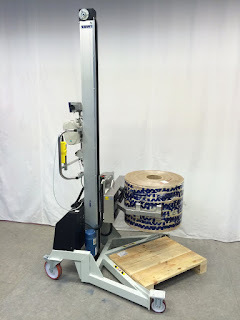 This Protema lifter is a special PRO200 EasySqueeze with v-shaped legs and equipped with standard fixed arms and a scale unit including a scale indicator and a scale printer. 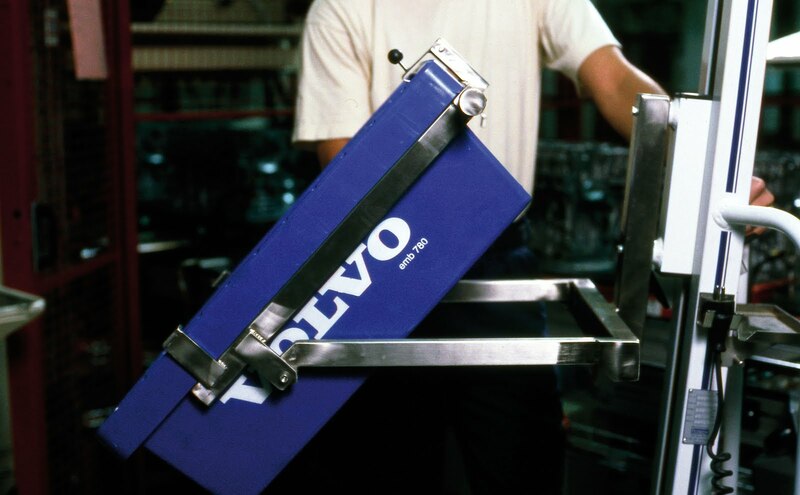 This trolley is used to lift and weigh reels up to 120 kg. The v-shaped legs are designed to perfectly fit the pallets from the sides and lift reels placed in the center of the pallets. The reels can be rotated 90° and the rotation can be stopped anywhere between the end positions. 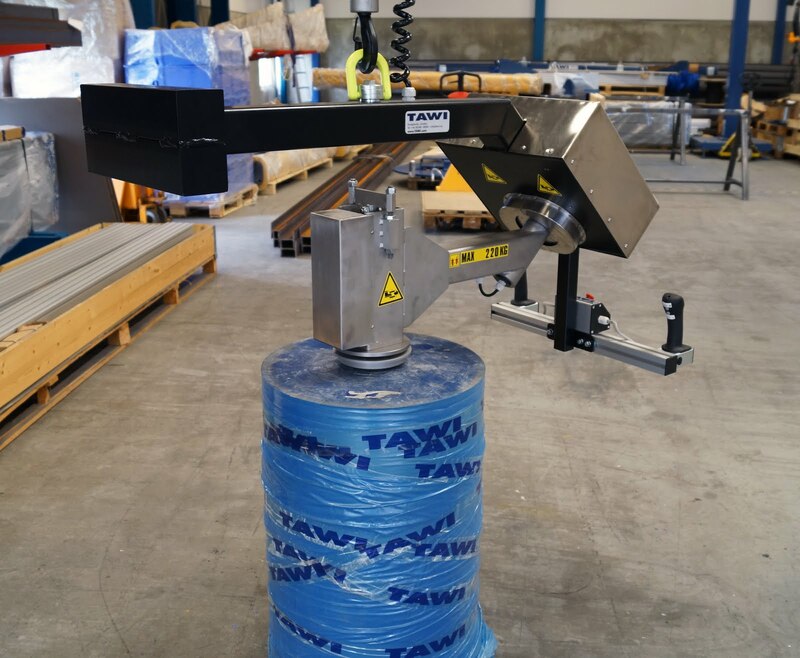 Click here for more information about our various ergonomic solutions for lifting reels. 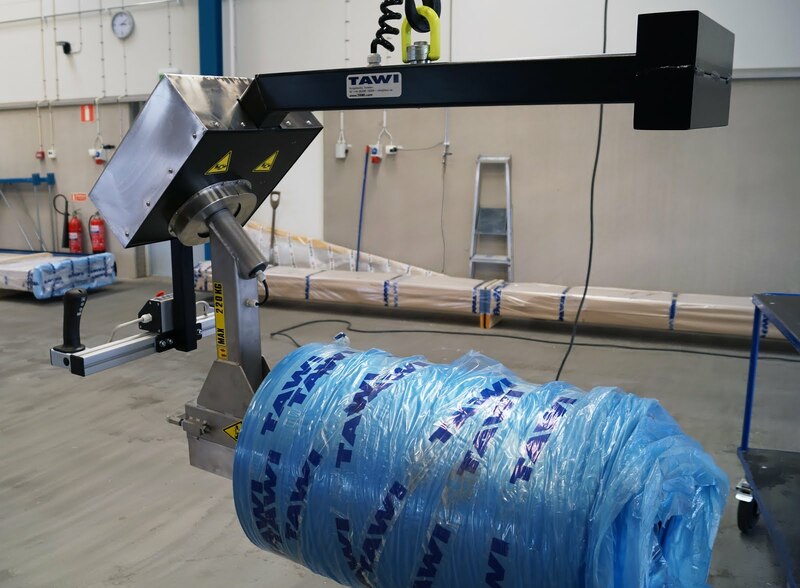 In our stand you will find various products displayed such as Lyftman jib crane, VacuCobra vacuum lifter, ViperHoist wire hoist and Protema electric lifts. 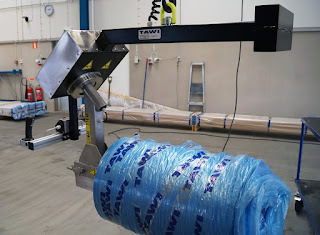 TAWI offers complete ergonomic solutions for lighter and safer lifting. Our products are succesfully used in many different industries such as the automotive industry, food and beverage industry, logisticts and distribution centres and many more. Crates, boxes, sacks and reels are a few examples of good that you can test lift with our ergonomic lifting equipment at our stand. Our technical sales guys will be there to answer any questions and provide further information and advice.